"Buy your College Football Helmet from the Experts"
CollegeHelmetStore.com has partnered with MyUS.com (short for "my U.S. address") to ship our helmets to customers in more than 220 countries and territories. 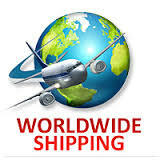 We can highly recommend this top-rated package forwarding service that our customers in Canada, Europe, Australia and Asia have used to receive our Authentic and Replica College NCAA Football Helmets. If you use them they give you a U.S. address at their forwarding warehouse and we ship the helmet to that address (free shipping) and they forward it to you. You pay them for the int'l shipping at an often discounted rate because they consolidate their shipments to each country. You can also then use them for the shipping of other products from the U.S. in the future if desired. Please visit www.MyUS.com for more information. Once you have received your U.S. address from MyUS.com use that address when you order your helmet(s).